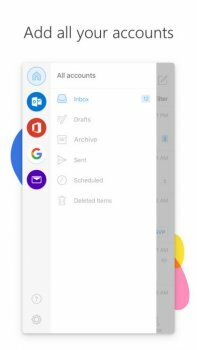 Microsoft Outlook for iOS helps millions of users connect all their email accounts, calendars and files in one convenient spot. Newly redesigned, Outlook for iOS lets you do more from one powerful inbox. See what matters most first with the Focused inbox that keeps the important messages on top. Switch between your emails and calendar to schedule your next meeting or share your availability with just a few taps. Or grab a document from your Files list and attach it to an email seamlessly. 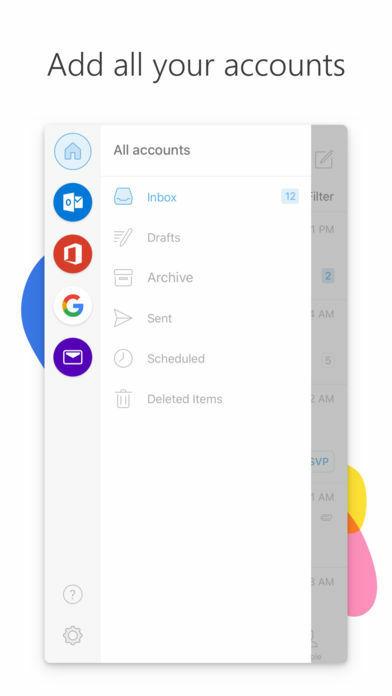 With everything you need only a tap away, managing your busy days is now easier than ever. Outlook for iOS works with Microsoft Exchange, Office 365, Outlook.com (including Hotmail and MSN), Gmail, Yahoo Mail, and iCloud.